Is The Housing Market Dominated by Institutional Investors? Institutional investors are as active in Phoenix as anywhere, yet they still make up a small part of the market. If they are bidding for the same property as you are, it will certainly feel like they are an important factor. They have deep pockets filled with cash and can be very determined. However they do not even compete for the majority of homes for sale. 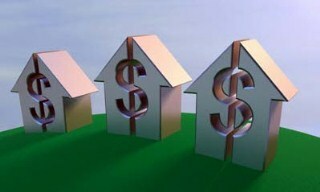 They are interested only in cheaper homes that they can rehab and rent out for an acceptable cash flow. Even in this small subset of the market, they do not dominate. Small scale investors buy more than twice as many homes as institutional investors. Normal homeowners buy three times as many homes as all investors put together. The market is in fact dominated by ordinary homeowners. Their transactions are by far the largest and most significant part of the market. They always have been. Even at their highest penetration investor purchases never got higher than 40%. Right now they are well below 30% and falling. Over the last 4 years institutional investors have come to own between 10,000 and 11,000 homes in Maricopa County. This not a very large number. Remember that in March 2009 we had over 10,000 foreclosure notices in a single month. That was a major event. But an inventory of 11,000 rental homes is not big enough to impact the overall market in any major way. It represents less than 1% of the housing stock. It represents less than 1.5 months of sales. If all of these homes were to be dumped onto the market at once through ARMLS it would theoretically increase the active listings from 19,400 to about 30,000. This is still less than what would be considered sufficient for a balanced supply, which would be about 33,000 to 35,000 for ARMLS as a whole. So we would still have a supply shortfall, not a glut. 1. “Lenders are controlling the housing supply by reducing the number of houses for sale”. Like any original researcher worth their salt, we actually count the number of homes owned by lenders in Greater Phoenix. We know the total of unlisted single family REOs in Greater Phoenix is 1,778 as of June 1, 2013. This number is insignificant relative to the size of our market, where some 75,000 single family homes are sold through ARMLS each year.. You can download a spreadsheet of the REOs here to see for yourself (the spreadsheet also includes the REOs listed on ARMLS) and you can examine the unlisted REO inventory by ZIP code here. The idea that 90% of REOs are held off the market artificially is completely untrue and in fact there are so few REOs in total (3,749) that it would make little difference to the supply if they were all dumped on the market at once. This however is not going to happen. In fact house flips in Greater Phoenix have fallen to their lowest levels in many years. In April 2013 there were 368 single family home flips in Maricopa County, down 58% from April 2012 when there were 875. In April 2011 there were 882. The market is now dominated by normal sales transactions between normal home owners and normal home buyers. Investor transactions, though still high by normal standards, have been on a downward trend since July 2012. The vast majority of investor transactions are not flips but purchases with cash to create rental homes. The idea that the housing recovery is somehow “dubious”, “false” and based on far-fetched conspiracies between government and lenders is plain silly, at least as it applies to Greater Phoenix. We suspect that the same is true elsewhere, but we don’t keep the detailed data for counties other than Maricopa and Pinal, so we make no claims about other markets. However if Heidi were to actually try to buy a home in Phoenix she would be shocked by how different the real world is from the one she imagines. The real situation is much simpler. We don’t have enough homes on the market to meet demand, and there is no significant source of new supply. Hence prices rise. There is nothing fake about that. After years of the most brutal buyerâ€™s market the Valley has ever endured, sellers are now enjoying the pendulum swing favoring them.Â Â Values are continuing to edge upwards and sellers are frequently receiving multiple contracts â€“ often within days of offering their home for sale.Â With the real estate market so clearly favoring the seller, it would be easy to assume that sellers are bullet proof.Â Unfortunately this market, like all past strong seller markets, is still fraught with potentially costly seller mistakes. Our hope is by sharing some of these we can protect a seller or two from making the most common mistakes. Zestimates or other automated valuation systems.Â While Zillow has done a fabulous job of marketing their automated online valuation system, what they havenâ€™t done a fabulous job of is being accurate with that valuation.Â Too often would-be sellers jump on to their site (or the multitude of sites that are similar) to determine â€œtheir homeâ€™s valueâ€.Â Sadly, these systems are no substitute for an appraisal or (even better) the full blown exposure of the home on the open market.Â Ultimately, a home is worth what an armâ€™s length buyer will pay.Â In a market that is generating competition for homes, prices can escalate beyond what any automated value system or appraisal says the home is worth.Â Valuation systems use preset computer metrics to estimate the value.Â It is difficult to ever foresee a time when they will be accurate, as determining home values is something of an art.Â Values are composed of market conditions, the propertyâ€™s location, features, pricing, accessibility, market exposure (i.e. marketing), and negotiation.Â There is simply no substitute for someone with real estate expertise actually viewing the property. Appraisals.Â Speaking of values, letâ€™s talk about the weakness of appraisals.Â Appraisals are an â€œopinion of value for lending purposesâ€.Â That is what it is, an opinion of value.Â This is so true that homes that obtain more than one appraisal often receive entirely different numbers.Â It isnâ€™t that appraisers arenâ€™t attempting to do good work, it is that they are always using rear view mirrors in looking for value.Â Appraisers are required to use sales in the last 3-4 months (it used to be in the last 6-12 months!) Â The highest likelihood of an appraisal being accurate, is where the homes are homogenous and supply and demand is in equal balance (a four to six month of supply of homes) for an extensive period of time. Balanced markets in the valley have not been common.Â In a declining market (such as we saw in 2007-2011) appraisals often came in higher than true market value.Â This is due to the fact that the very definition of a declining market is one where a home today is selling for less than yesterday. Conversely, a rising market has tomorrow selling higher than today. Â This is the current problem for sellers â€“ appraisals are often coming in lower than buyers have offered to pay.Â Without addressing these appraisal issues upfront, sellers can find their value being slashed. Choosing your agent (friends and family)Â Too often sellers use the first agent they talk to (so the primary hiring criteria is someone simply being there).Â Additionally, sellers may pick an inexperienced agent.Â This does not mean the agent hasnâ€™t â€œbeen in real estate for yearsâ€ but simply they lack experience.Â Did you know the average agent does approximately 6-8 home sales a year?Â Compare that to someone doing over 400 sales a year and you can see experience cannot be measured by the year.Â Another error can be using friends and family.Â It can be difficult for sellers and their family to have the conversations that are necessary to really sell a home.Â Comments on pricing, proper staging, and commissions can result in frayed relationships. Again, finding the agent with both knowledge and marketing power can produce results that outperform an average agent by thousands of dollars, not to mention save relationships. â€œSaving the commissionâ€ At the risk of sounding self-serving, sellers can sometimes be â€œpound wise and penny foolishâ€.Â What we mean is that sellers often worry excessively about saving the commission while missing entirely the benefits that commission is really paying for.Â If it doesnâ€™t matter who sells your home then sellers would always be better served just selling it themselves or paying the part-time agent a small amount to write up the deal.Â This is not the case however.Â If an agent cannot produce results above what a seller can do, you simply have the wrong agent.Â A quality agent can not only counsel sellers on how to prepare the home for market (avoiding the first costly mistake, a badly presented home) but expose the home to the maximum amount of buyers.Â Competition for a home (demand) is the single most important factor in generating the most money for the home. As this is a subject near and dear to our hearts, we have plenty more to say on the subject!Â Hopefully, we have given you a thought or two about protecting your home value.Â As always, we are here to help and serve you!